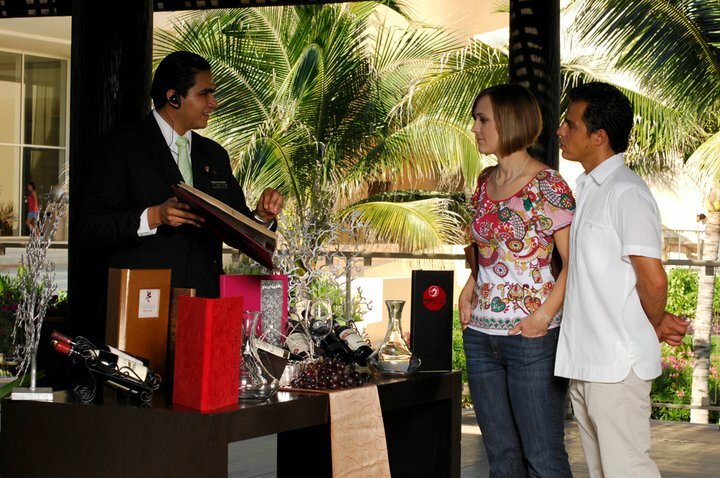 When visiting Now Jade Riviera Cancun, guests have the opportunity to receive advice and recommendations from a trained wine sommelier, Aarón Alvarez Arellano, as part of their Unlimited-Luxury® privileges. Whether you’re a wine enthusiast or just enjoy drinking wine, he will help you pair the perfect wine with your meal to make it absolutely unforgettable. If you’re interested in learning more about our wine sommelier, check out the Q&A below for more information about his role at Now Jade. 1. 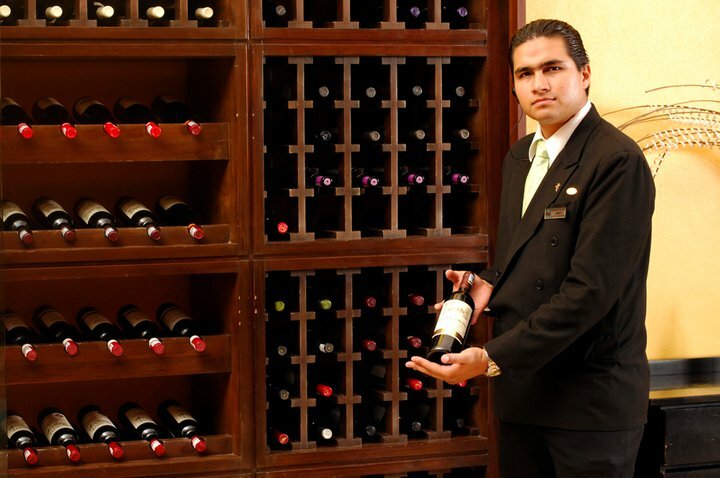 What made you want to be become a wine sommelier? Many years ago, I met a sommelier from Paris who helped me realize that wine is my passion. He taught me the basics of wine and I have been seeking out and learning more about wine ever since then. 2. How do you help guests at Now Jade? Well, first I ask them a few questions to get to know what kind of wine they like, and then I have a clear idea about what I should suggest. I always try to suggest different wines so they can get familiar with other wines that might suit their palette. 3. Is there a trick to pairing the perfect with with a dish? Yes, you have to balance the potency of the meal with the potency of the wine. Food doesn’t have to “eat” your wine and wine shouldn’t “eat” your food. They should be equalivalent so they can have a perfect marriage. 4. What are some good local wines that guests should consider? Santo Tomás Pitxos (it’s a blend) Merlot/Grenache/Syrah, Santo Tomás Valley, North Baja California State. This one, in my opinion, is probably our best shot. Contraste, Wente Vineyards-Casa de Piedra (It´s a blend) Cabernet Sauvignon/Tempranillo, Ensenada Valley, North Baja California State. 5. Do you have any recommendations on how to enjoy wine to its fullest? Actually, yes. Forget the idea that you have to be “wine connoisseur” to drink wine. The only thing you have to do is to focus all of your senses on enjoying wine and you will! 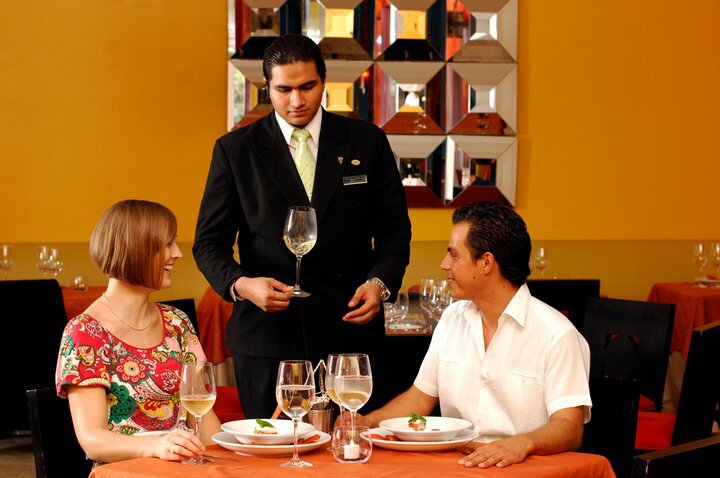 This entry was posted in Now Jade Riviera Cancun and tagged drink wine, pairing wine, Unlimited-Luxury, wine cellar, wine connoisseur, wine enthusiast, wine tasting. Bookmark the permalink. Kudos to Aaron! Loved meeting him in September! Great post & interview. Sommeliers are really the key to a great dining experience — too many people are still intimidated by them or mistakenly assume they are just trying to sell the most expensive bottles on the menu. I love number five – people fail to recognize that even master sommeliers had to start somewhere! You do not have to be Robert Parker or a renowned wine critic to enjoy a nice bottle of wine with your meal. We will definitely take note of the wines recommended here — we are yet to experience Mexico’s wines and these sound like some great picks to start with!